It’s been a nice long summer and as usual I’ve been neglecting my blog. I have some good excuses this time around though. I’ve been really busy the last six months or so working on three exciting projects (well, two really). 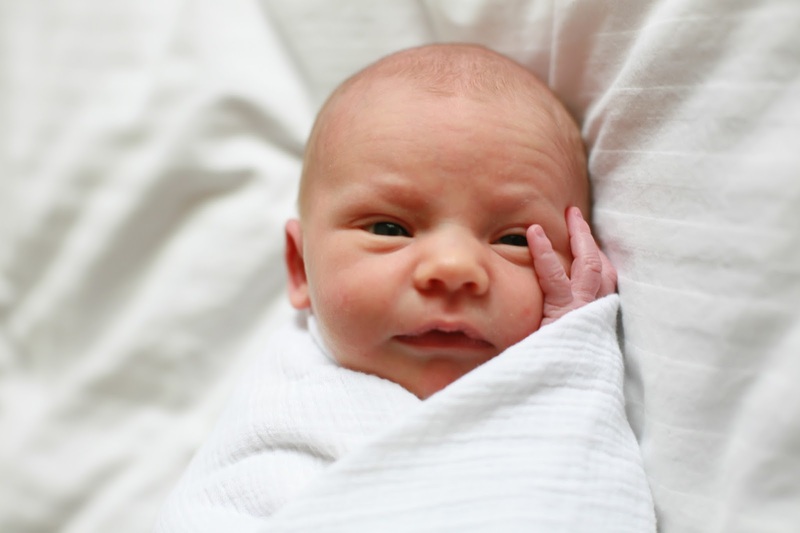 The first one came to fruition on June 28th, when my second child, Amelie Karen Anderson was born. I will concede, my contribution to the initial 9-month phase of this project was minimal, and admittedly not all that time-consuming 🙂 though the beginning of the 18-year second phase has kept me quite busy over the last two months. Amelie came out happy and healthy and Kate is doing great. At this point we are beginning to adjust to life with two children. The adjustment from one to two is much easier than the adjustment from zero to one, but that said, having two is really hectic. With one child, parents can tag-team and its not too difficult to get some alone time. With two, both parents are occupied most of the time. Logan’s arrival didn’t really affect my climbing life until he was about a year old, but I think having two will make climbing quite a bit more difficult. Just the sheer volume of crap (literally, in some cases) that has to be hauled to and from the crag is overwhelming. Fortunately we live in a place with lots of crag options. We may have to be more selective for a while but I’m sure we’ll find a way to make it work. The next two projects I’ve been working on were just unveiled at the Outdoor Retailer show last week, so its time to let the cat out of the bag. First, I’m co-authoring a book with my brother Mike Anderson on the subject of climbing training, tentatively titled The Rock Climber’s Training Manual. The book will be published by Fixed Pin Publishing and will hopefully be out some time this winter. Mike and I have been kicking around the idea of writing a training book for many years, at the suggestion of many different people. The book is loosely based on “The Making of A Rockprodigy”, a training article Mike wrote for Rockclimbing.com. Many climbers have had tremendous success using the Rock Prodigy training method and they have encouraged us to write something more expansive. Fixed Pin began the layout work in March, and we conducted a couple of photoshoots with Tommy Caldwell and Paige Claasen to help illustrate the concepts described in the book. The book will be in full color with more than 200 figures and pictures. If nothing else, I’m confident this will be the most visually appealing training book every produced! At this point the layout is almost complete and with a bit of luck the book should be off to the printer in a few weeks. 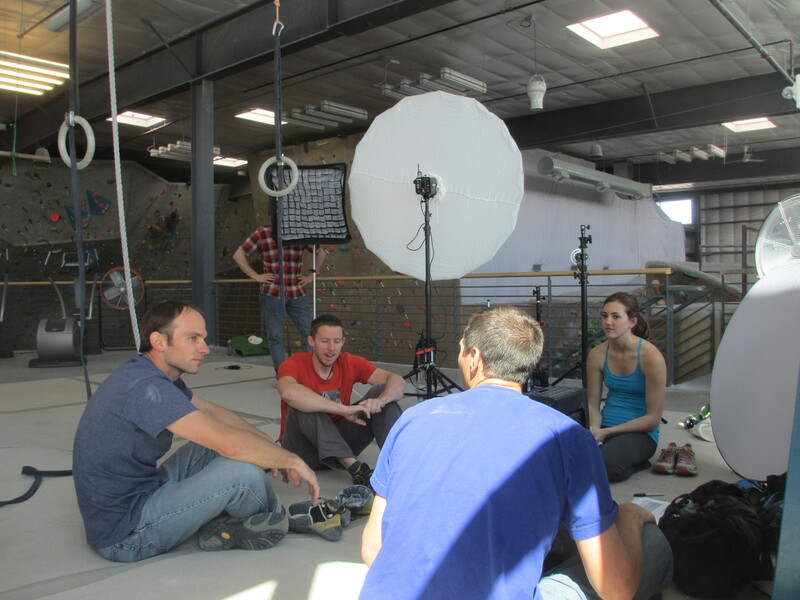 Photoshoot strategery at Movement Climbing Gym with Tommy, Paige and my publisher, Jason Haas. I’m really proud of this book. It was a ridiculous amount of work, but I think it will help a lot of people and it breaks a lot of new ground. Readers will notice right away that its very prescriptive. The book tells the reader exactly what to do and when, but it also goes to great lengths to educate the climber on how to tailor the workouts and schedule to meet his or her own specific needs. I think people want a step-by-step guide that removes the guess work form training, and that is exactly what this book does. Climbers with more training experience will easily be able to evolve the programs detailed in the book and make them their own, but at the same time beginners can follow each workout exactly as described and see amazing results. The book also includes a helpful “Quick Start Guide” that will allow the reader to get to work immediately so they don’t have to read the book cover-to-cover before they can get started. Many other books provide a catalogue of potential training activities, and then leave it up to the reader to decide how and when to put those activities together. This book provides an easy to follow formula for identifying a specific goal or set of goals, then explains exactly how to devise a comprehensive plan for attaining the goal, along with a detailed schedule explaining exactly which training activities to perform and when. No other resource spells out how to make your climbing dream into a reality quite like this. Sample page from Chapter 9. Photos on the lower left courtesy of Frederik Marmsater. Furthermore, every exercise, tactic, plan, etc, we describe in the book is something we know works, because we actually do it ourselves. There are other books out there that go way out on a limb, describing exercises and training methods that the author obviously has never used (at least not extensively). This is not one of those books. 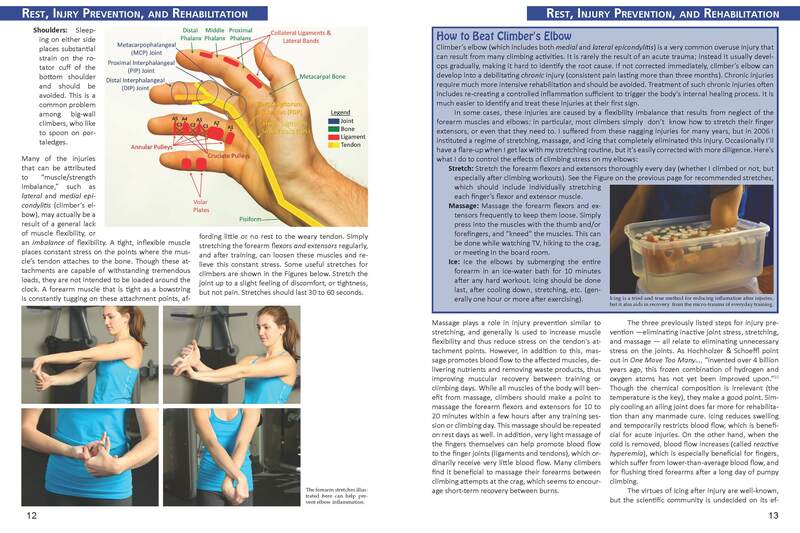 The techniques and methods described in our book have been extensively tested and proven to produce serious (5.14-serious) results. The project started as a detailed manual on physical training, but it also provides plenty of practical information on other improtant topics like skill development, weight-management, injury prevention and rehabilitation, and on-the-rock strategy and tactics. In particular, this is the first book I’m aware of that discusses strategy and tactics for Big Wall Free Climbing. Check back here for more details and status updates as the release date approaches. The third and final “project” I referred to was spawned by the book. In February, after reviewing some of the early drafts of the book, my friend Adam Sanders at Trango texted me to see if I would be interested in designing a hangboard. 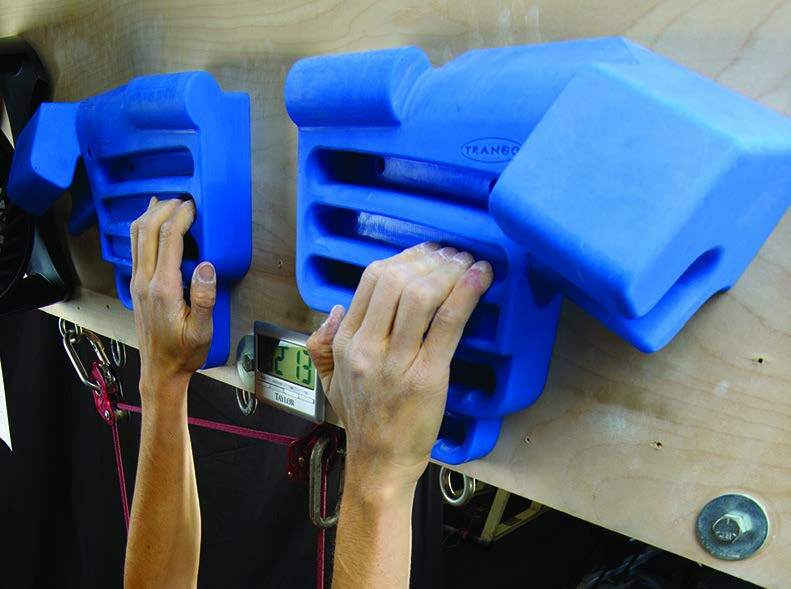 I’ve long–well “fantasized” is really the appropriate word–about designing a hangboard. I’ve been using hangboards seriously for training for more than twelve years, and I’ve been through countless boards over that time. I’ve never been satisfied with any hangboard, and I’ve come up with many ideas on how to improve the concept. I was really excited by this opportunity, so I put together some concept sketches for Trango. In my view, there are three primary innovations with this product. The most fundamental and obvious is the two-piece design, which has a number of benefits, including eliminating dead space and wasted plastic in the center of the board, allowing the board to fit climbers of different shoulder widths (thus reducing injury risk to shoulders, elbows, wrists and fingers), and allowing for more “clearance” for inactive fingers when using pocket grips. The next second innovation is the pinch design. Without going into a bunch of detail, I’ll just boast that the pinches on this board will blow all other commercial hangboard pinches out of the water! 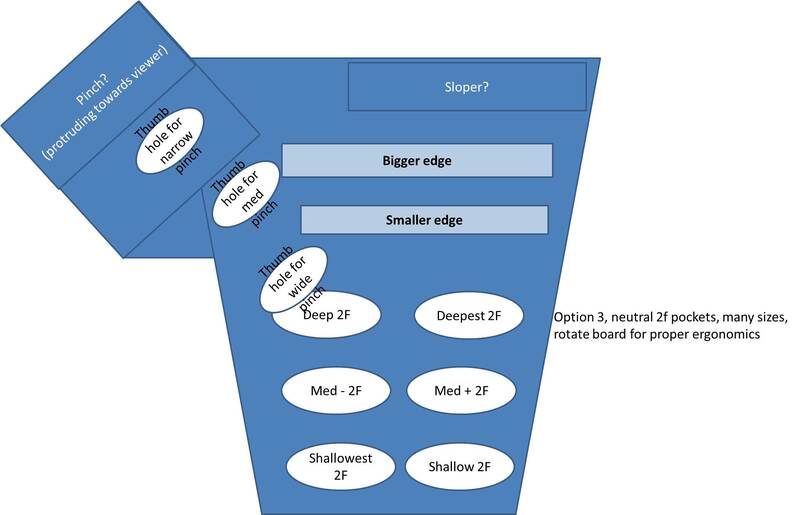 Finally, this board incorporates a variable depth rounded edge that will allow climbers with different finger sizes to find a nice, comfy edge that is repeatable while allowing for steady progression to smaller and smaller edges (more on this later). After about a week of discussing with various hangboard experts (Mike and Lamont), the sketch evolved into this. Often you start with a noble vision, but reality, budget constraints, the laws of physics, and so forth get in the way. When Trango responded to my concept sketches I knew I had found the right partner. Trango was completely supportive of my ‘outside the box’ vision for the hangboard, and trusted me to make the board the way I wanted to. The result is something that will be both innovative and practical. My hope is that the “Rock Prodigy Training Center by Trango” will be a leap forward for hangboard design. To be blunt, designing a hangboard is much harder than it looks, and that is why so many boards fall short. I learned this early on in the process, so we took our time with this board. I built mock-ups of all the grips so I could test them to ensure they were comfortable and ergonomic, but still challenging. 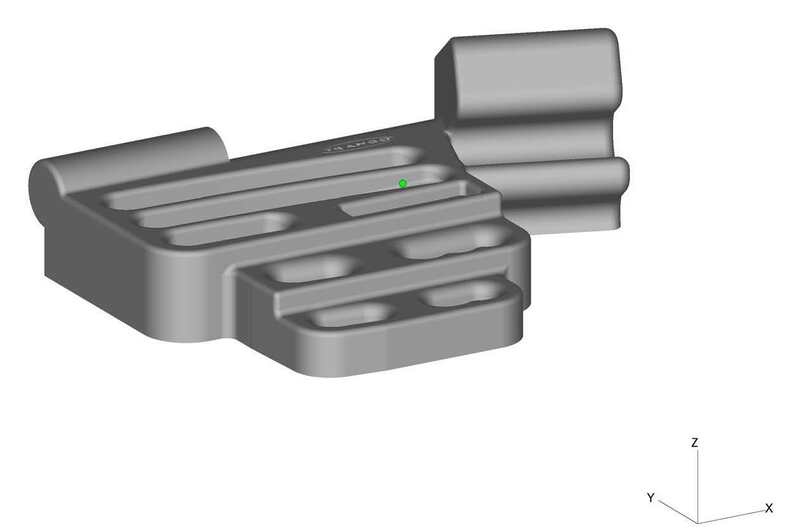 My friend Lamont Smith built a CAD model of the design so we could tweak hold locations and shapes. We spent literally months fine-tuning the dual-texture finish to come up with a final result that looks good, performs well, and doesn’t trash your skin. 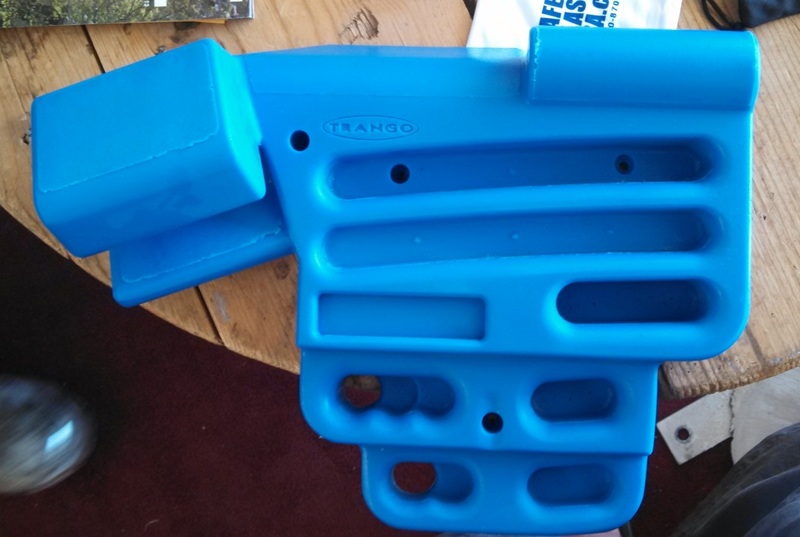 An early prototype of the left half, testing different texture options. The Training Center should be available for purchase by early October. I will post a full (though admiteddly somewhat biased) review here before its released, including a detailed explanation of why its designed the way it is. I will aslo let everyone know when and where to get it. Trust me, if you have any interest in ever using a hangboard, you’re gonna want one of these! Both halves in action. This is another prototype before we settled on the final texture solution. This post was worth the wait! Congratulations all around! Can’t wait to hear more about the book and new board, they both look awesome. How did your trip to Smith Rock go? Congrats on the new addition to your family. Thanks for the post, I am looking forward to getting a copy of the book when it is done. I like many others have experienced fustration over the general vagueness of other training books, and I think a book like yours is a long overdue addition to climbing training theory. Also, for those lucky few in West Virginia, the very fisrt production model has been installed in the eNeRGy Rock Gym in Charleston if you want to check it out.